For women screenwriters over the age of 40. An intensive four-day script development retreat for narrative features. September 25 - 29, 2018, at Wiawaka, on Lake George, NY. Including one on ones with mentors; panel discussions; peer groups. Part of the movement to amplify the female voice in narrative film. Now accepting international English-language script submissions. The Experimental Film, Dance and Music Festival runs every three months at the Carlton Cinemas in downtown Toronto, Canada, and starting in 2018, also at the LA LIVE Regal Cineams in downtown Los Angeles, USA. The New Mexico Filmmakers Showcase is a yearly juried competition is open to all New Mexico filmmakers and there is no fee to submit your film. The winners of the showcase will be announced at our Awards Ceremony on May 19th, 2018 at the National Hispanic Cultural Arts Center and the winning films will be screened at the 2018 NM Film & Media Industry Conference in the fall. This year's categories are: Comedy, Drama, Documentary, Horror, Fantasy, Music Video, Sci-fi and Student (if you have a web series you can enter an episode into the genre that best suits your project). There will also be awards for the Best in Show, Wild Card (the highest scoring film that isn't a finalist) and the Audience Award based on the public's votes in our online gallery of films. The Desert Light Film Festival organizers announce the 2018 Desert Light Film Festival will be held on Friday, April 27, 2018, in Alamogordo, New Mexico. Thanks to the financial support of TDS, our local cable, phone, and internet company, Desert Light Film Festival will host its 15th Festival and competition. This competition gives students an opportunity to showcase their work, compete for prizes, and participate in seminars designed for young filmmakers. Desert Light is open to all New Mexico high school and middle school students, including students who attend public, private or charter schools, or who are home schooled. Categories include drama/comedy, animation, music video, documentary, experimental film, and 30-second commercial. The criteria for all categories include production quality, creativity and originality, resourcefulness and entertainment value. Films are submitted and judged in either the high school or middle school division. Held annually in April on the campus of New Mexico State University, the Feminist Border Arts Film Festival celebrates the power of cinema as a creative tool to reflect upon urgent social issues and thought-provoking representations of identity and difference. The festival emphasizes artistic vision in telling these stories through short film (15 min. and under), including live-action narrative, documentary, and animation. It showcases student, independent, and professional filmmakers, domestic and international. The LatinX Film Festival is Part of the LatinX in Film Organization. The Goal of LXF is to promote the growth of the LatinX Film Community by increasing Interest in Acting And Filmmaking. The plan to achieve this is by organizing free events and workshops that teach acting and filmmaking in the LatinX Community. More and more Film Festivals are shying away from awards and even live screenings. But our goal is to Award Films and Directors that share The ever changing LatinX Cultures by the stories that they tell. The Napa Valley Film Festival showcases an outstanding presentation of independent filmmaking, while also building a strong sense of community around the art of visual storytelling. Film screenings and networking events are accompanied by the world-class food and wine of stunning Napa Valley, fueling lively conversations amongst artists and audience. We welcome both documentary and fictional projects that promote positive messages related to Activism. Music videos are free to submit! Please be sure your submissions are relevant to the theme of Activism. We will award Best Music Video. For films, we will award Best in Show, Best Animation/Titles, Best Music/Soundtrack, Best Cinematography & Best Acting. Depending on the number and type of submissions we receive, we'll hope to provide additional awards along with recognition for writing, music videos and songs, and photos. As the film industry continues to expand in the great Southwest, meeting the multicultural needs of those who call the area home becomes a growing topic of conversation. Enter the Borderlands Film Festival, a multi-city celebration bringing the best in independent films from around the world, with an emphasis on female-driven, Spanish language, and US Military-produced projects. Brought to you by a creative team of directors with years of film festival running experience, the Borderlands Film Festival (BFF) aims to champion great independent filmmakers who would otherwise not have the chance for a prestigious public screening of their work. What sets it apart from other festivals of its kind is that it will be presented in multiple cities throughout the southwest for maximum exposure. The Different Faces, Different Voices Film Festival (DFDV) invites filmmakers from around the globe to tell the stories that often go untold in current cinema and television. These films must feature a woman as one of the central characters and must have at least one woman in a creative leadership role – producer; writer; director; main actor; editor. They also must be based on one of the 100 loglines the festival team has created. Sign up and we send you the loglines – you then choose one and email it to us at admin@hsswriters.com. Films must be 10 minutes or under in length. Each team has until April 8th to submit. Many awards are offered for the winners including the Diversity and Beyond the Bechdel Test Awards. Any active member of WIF or WIFV will receive a 20% discount if they enter a code provided by their Chapter. In 2018, the NYTVF is accepting submissions for both the Independent Pilot Competition (IPC) and NYTVF Scripts. Looking to submit your produced TV pilot? Submit to the Independent Pilot Competition, the NYTVF’s flagship, annual initiative, accepting independently-produced, original television pilots and series, short films, and short-form web series from around the globe. The final deadline is May 1, 2018. Are you an aspiring TV writer? NYTVF Scripts is accepting original comedy and drama series pilot scripts from around the world for consideration by broadcast, cable, and digital buyers. The NYTVF Scripts submission period will begin on March 7, 2018. 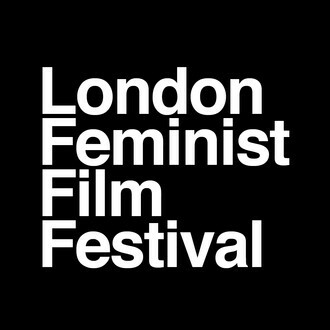 The London Feminist Film Festival is an independent festival set up in 2012, which celebrates international feminist films past and present. We firmly believe in the potential of filmmaking as feminist activism and as an agent of social change. In the patriarchal filmmaking industry, the LFFF's mission is to open up a space for women filmmakers to share their stories and showcase their talents. We aspire to offer a diverse programme of feminist films from all over the world, of different genres, both fiction and non-fiction, short and feature length. Submissions are now open for the 8th BAFTA-Recognised Aesthetica Short Film Festival (ASFF). ASFF is looking for practitioners who are pushing the boundaries of film forward. The festival provides a platform for emerging and established filmmakers to showcase their work to a wider audience. ASFF accepts submissions from across 11 genres including: Advertising, Animation, Artists’ Film, Comedy, Dance, Documentary, Drama, Experimental, Fashion, Music Video or Thriller. Running time 30 minutes. New to 2018, ASFF will also accept submissions in Narrative and Documentary Feature Films, over 60 minutes. In addition, filmmakers working on Virtual and Augmented Reality projects are also invited to submit, to explore game changing forms of storytelling. SFN’s mission is to showcase local above-the-line talent, while also providing a platform to exhibit all kinds of content made in the Land of Enchantment. SFN embeds content hosted on Vimeo, YouTube, or any compatible video hosting service in order to offer free public access to stream content made by New Mexico media makers or projects filmed in the “Land of Enchantment.” SFN can either present the full length Media Project, or just a trailer (and a link to the full version on a 3rd party platform, like iTunes, Amazon or Netflix). America Heard is a web series of short documentary films being created by filmmakers across the nation in the wake of the 2016 election. Our goal is to feature at least one film from each of the 435 congressional districts and show the diversity of political perspectives throughout the United States. We are looking for filmmakers to create short documentary films in their community, focused on building dialogue across the country.